In today’s highly connected digital world, we have lots of ways to communicate but sometimes they all fall flat on their face and you’ve just got to go back to basics. Maybe you don’t have cell phone signal or maybe you don’t want to have a heavy and expensive cell phone strapped to the outside of a backpack in the elements. When that is the case, it’s time to turn to the trusty walkie talkie. The latest in the 2-way radio market is the all new Cobra Chat Tag. This is an awesome little pair of radios that are a little smaller than the size of a hockey puck and much lighter. The Cobra Chat Tag is designed to clip to your shirt or backpack strap for easy one handed listening and talking. With a really different but simple design, there is no external antenna or screen, just buttons. To keep it simple to use, the device talks to you to tell you its current mode. 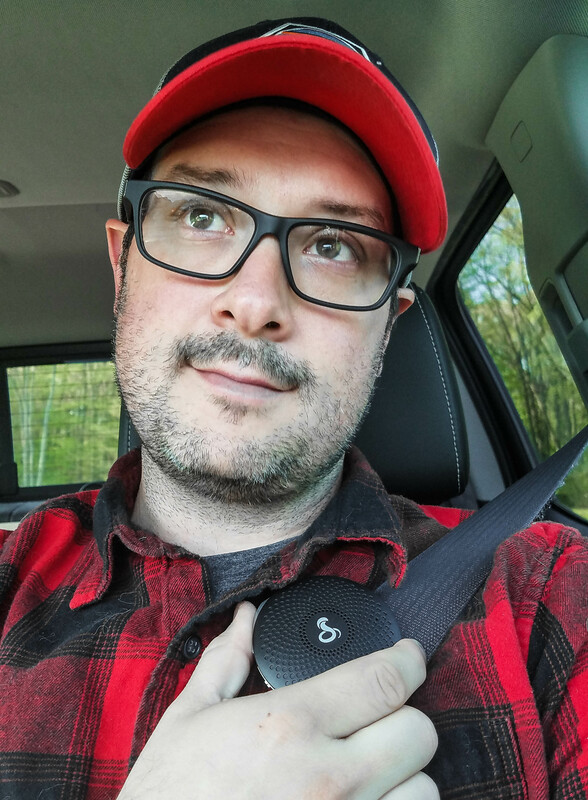 We took our Cobra Chat Tag walkie talkies on a cross country road trip to the Appalachian mountains where we camped in our travel trailer. We were excited to find that our remote campsite was just what we wanted to disconnect from it all, meaning not a cell signal to be found. When it came time to set up camp, we had to back our trailer into a tight spot with rocks, trees and a cliff that led to a river. With a radio clipped to a spotters shirt and a Chat Tag clipped to my shirt, I was easily able to get guidance on how to avoid the treacherous obstacles. The next day, we met up with friends and drove to the top of a mountain where again we escaped the luxuries of cell phones. Putting one Cobra Chat Tag on the driver of one vehicle and another on me, coordinating scenic stops between vehicles was a breeze. Later in the day a group wanted to go for a hike while another group took a break. We again had no issues staying in contact with the impressive 12-mile range of the Cobra Chat Tag. One of the hikers had their own set of walkie talkies of a different brand. It was great to find that the Cobra Chat Tag clipped to my backpack strap was even able to connect to theirs without issue, keeping us all in reliable contact. So if you are looking for a reliable and simple way to stay in touch using the tried and true walkie talkie, you should definitely check out the all new Cobra Chat Tag. This full featured, lightweight & powerful 2-way radio is sold in pairs at Best Buy & Trekrtech and may just save the day when you find yourself needing quick 2-way communications. Wow, those are pretty cool looking walkie talkies, never saw anything like them! May have to get a pair. It,s really amazing. Thank you. 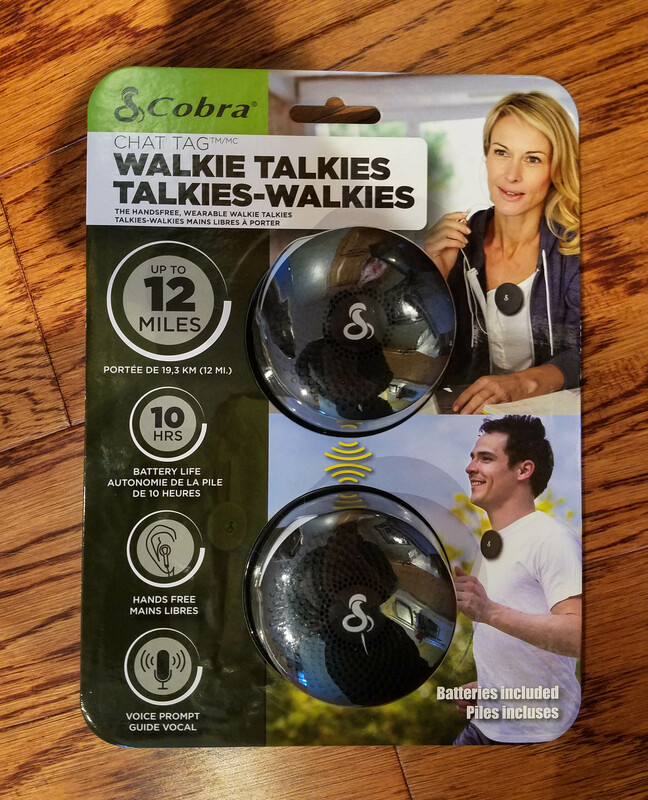 Just purchased Chat Tag Cobra Walkie Talkies. 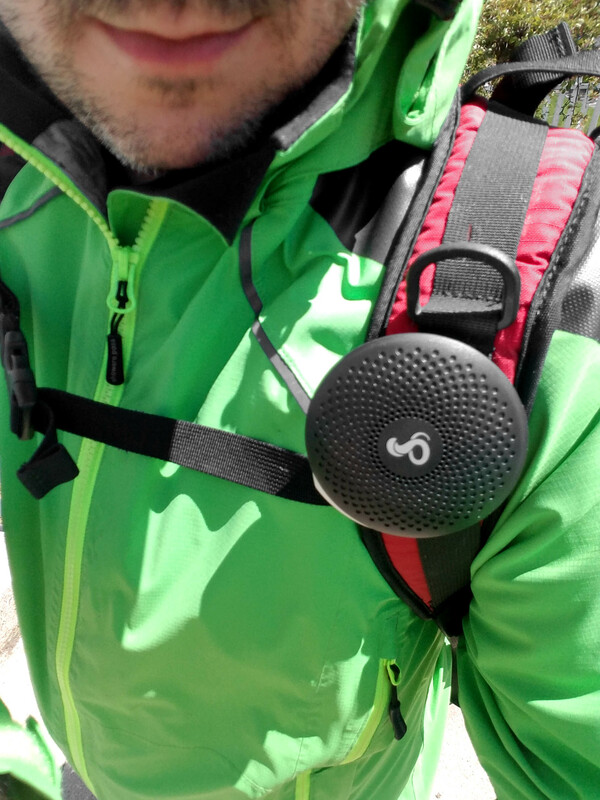 My husband and I bike ride and were looking for a better way to communicate with each other instead of yelling back and forth. It says it’s voice activated (not sure what that means) and hands free. I’m charging them (about 5 hours) for a first use (they can both be charged at the same time). They come with batteries and are, surprisingly, light weight. One unit is just under 2 and 1/2 ounces.  We paid $20 at Best Buy and were told we could return the gadget within 14 days if not satisfied.